Xwizard is an ‘Extensible wizard host process’. While I am not 100% sure what it is doing I know for certain that – whatever it is – PlugX guys would approve. Something about the unusual command line parameters described there caught my eye. After a quick inspection I discovered why. 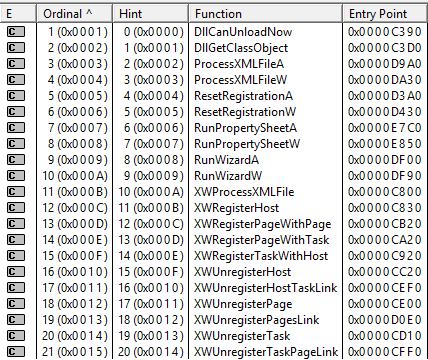 The arguments are actually… names of functions exported from xwizards.dll! 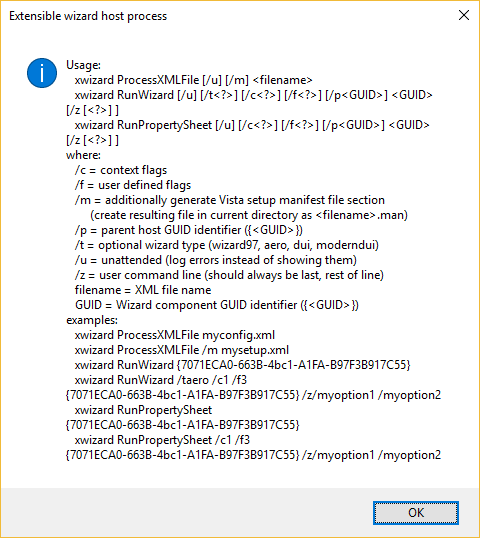 So… all you have to do is copy c:\WINDOWS\system32\xwizard.exe to your folder, drop your xwizards.dll DLL there and call xwizard.exe with at least two arguments.